AURORA WATCH: High-latitude sky watchers should be alert for auroras tonight. A high-speed solar wind stream is buffeting Earth's magnetic field and this could spark a geomagnetic storm. For reasons explained in a recent Science@NASA story, this marks the beginning of Solar Cycle 24 and the first step toward a new solar maximum. Intense solar activity won't begin right away. Solar cycles usually take a few years to build from solar minimum (where we are now) to Solar Max (expected in 2011 or 2012). It's a slow journey, but we're on our way! more images: from John Nassr of Baguio, Philippines; from Cai-Uso Wohler of Bispingen, Germany. "All were brighter than 1st magnitude," says Peterson, "and a number of these meteors were fireballs (brighter than magnitude -4)." 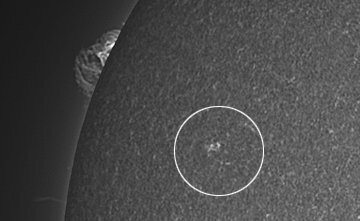 The source of the display: near-Earth asteroid 2003 EH1. Every year in early January, Earth passes through a stream of dust trailing the asteroid, giving rise to the annual Quadrantid meteor shower. Studies of these early-January showers suggest that 2003 EH1 is not really an asteroid, but rather the largest fragment of a comet that broke apart circa 1490 AD. 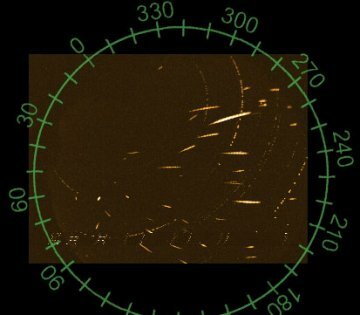 Debris from the breakup drifted toward our planet for ~500 years and now appears in the form of Quadrantid meteors. On January 5, 2008 there were 916 potentially hazardous asteroids.